Body painting assumes a new form in the hands of Italian artist Guido Daniele. 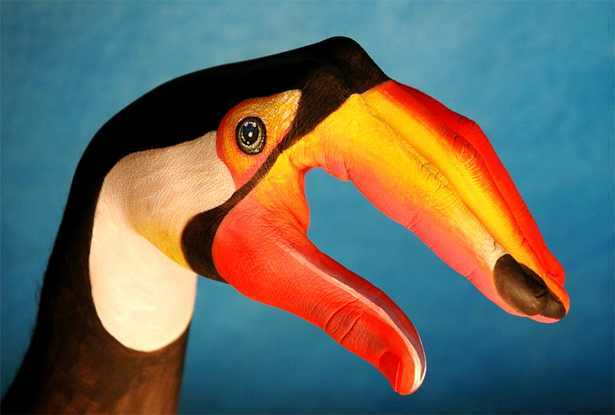 Daniele paints vibrantly-detailed, life-like animals and natural scenery on human bodies, but really specialises in painting animals on human hands. His skill with the art form has led to his first show in the United States. Body painting assumes a new form in the hands of Italian artist Guido Daniele. Art for a cause. 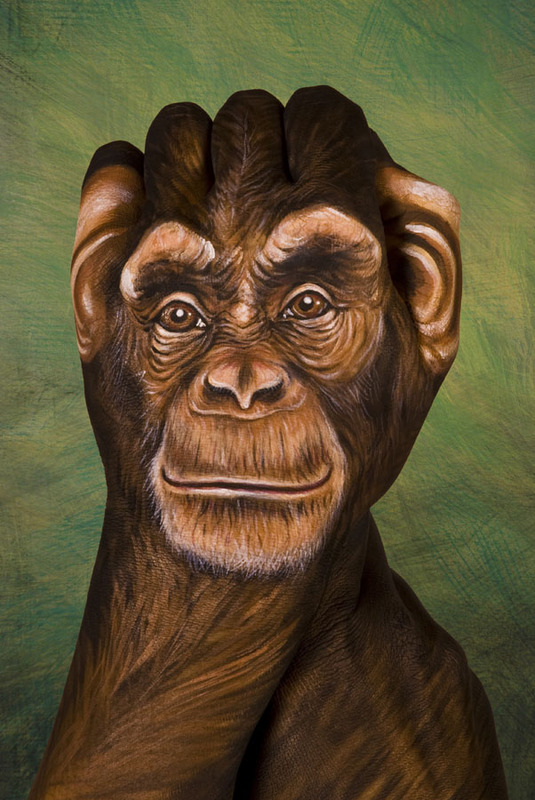 Italian artist Guido Daniele says his art is his way of calling attention to endangered animals. "Animals on the hands means 'give a hand to the animal'. Give a hand to the protection of the animals. The artists, they have a chance to give a message with their arts. And the message from me is to protect the nature, protect the life, don't destroy," he said. Daniele has been creating art since he was a child in Italy. 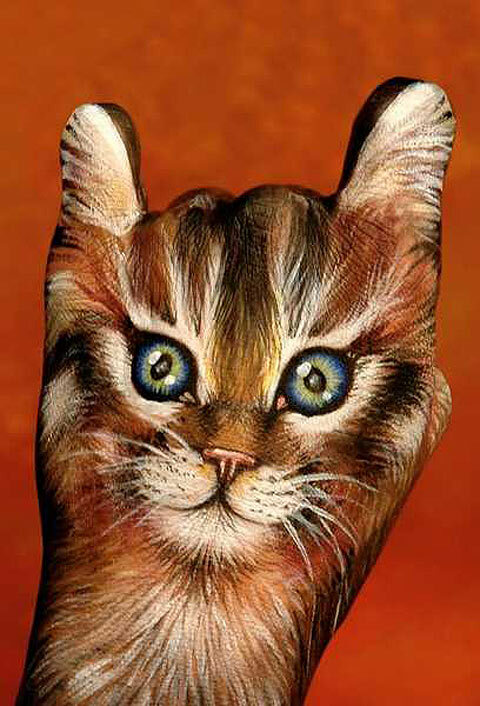 But he began to focus his work on painting hands about 15 years ago. Daniele says hands are the most expressive part of the body, after the face. Now, his art work is making its U.S. debut in New York City at the Top of the Rock Observation Deck at Rockefeller Center. The 'Handimals' exhibition features about 24 large-scale photographs of Daniele's work. The photographs include life-like "Handimals" depicting a zebra, an elephant, reptiles and birds. To create his art, Daniele says he uses make-up, not paint. "The normal color, they have a lot of poison inside. So I use make-up colors. Make-up colors for Japanese theatre is a natural powder with water, without glue. And this color, they stay a few hours," he said. 'Handimals' is only on display until January the 25th.